Mmg 14 Fr Female Catheter, 6" Length, No Funnel. 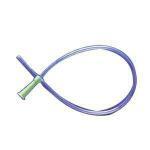 Mmg 14 Fr Female Catheter, 6" Length, Funnel. Golden Drain Large External Catheter Without Tape. Small Golden-Drain One-Piece Catheter, Supportive Cup Prevents Twisting. Soft Construction Ensures Patient Comfort. Individually Packaged With 6" Long, 1" Wide Straps. Mmg 16 Fr Long Catheter Packaged Curved 16" Funnel. Mmg 16" Fr Long Catheter Straight Packaged 16" Funnel. 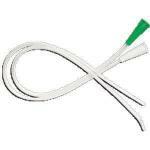 Mmg 14 Fr Long Soft Catheter Packaged Curved 16". 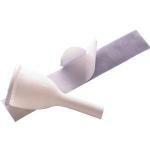 Mmg 10 Fr Adolescent Cathether, 10", Funnel End. Regular/large Golden-Drain One-Piece Catheter, Supportive Cup Prevents Twisting. Soft Construction Ensures Patient Comfort. Individually Packaged With 6" Long, 1" Wide Straps. Mmg 12 Fr Long Catheter Packaged Curved 16" Funnel. Mmg 14 Fr Long Catheter Packaged Straight, 16". 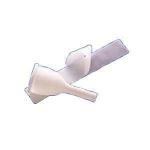 Geriatric/medium Golded-Drain One-Piece Catheter, Supportive Cup Prevents Twisting. Soft Construction Ensures Patient Comfort. Individually Packaged With 6" Long, 1" Wide Straps. 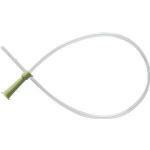 Mmg 14 Fr Coude Catheter With Taper Tip 16" Curved..